Cheer up your little one's summer with the fantastic Organic Cotton Seagull T-shirt by Nadadelazos. 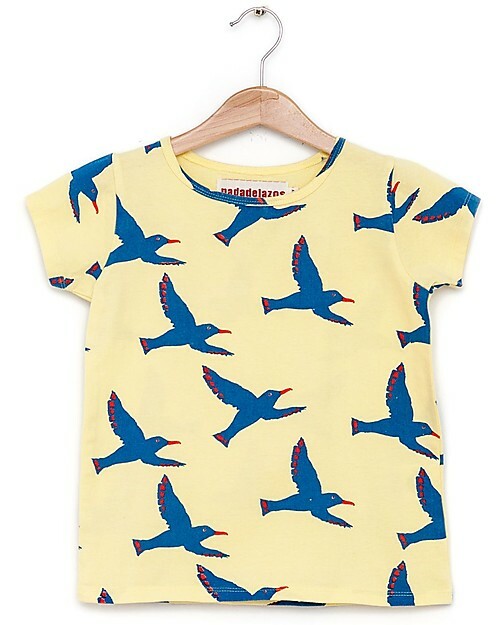 Created by the fantastic Spanish brand for kids' fashion that combines exuberance with style, this trendy short sleeves kids' top is fresh and vivid! Made in a 100% organic cotton, is soft and breathable, ideal also for the most sensitive skin. 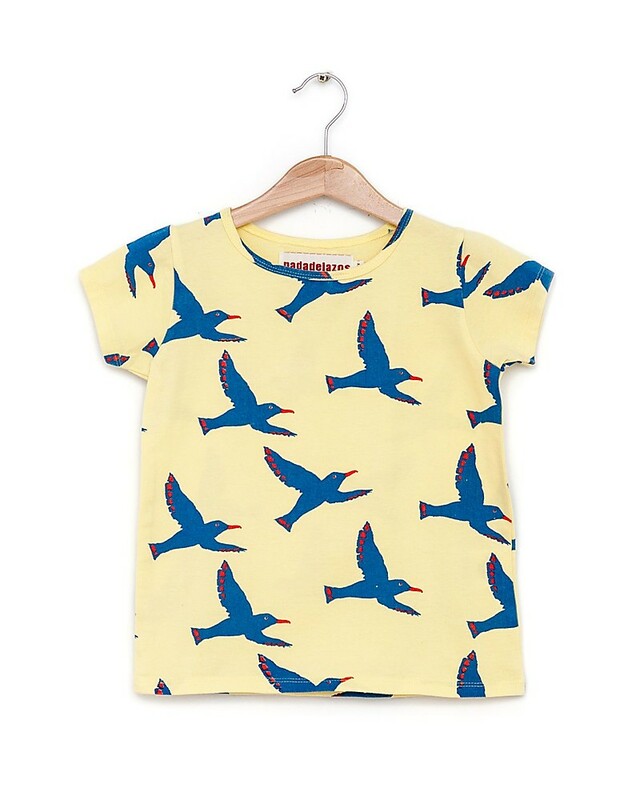 A t-shirt featuring an all over print flying seagulls, perfect to wear with jeans and trousers, it can be matched to a myriad of colours and styles to create an outfit that is as unique as your child! Available in many sizes: small ones have an opening with snaps on left shoulder! The print is so cute! 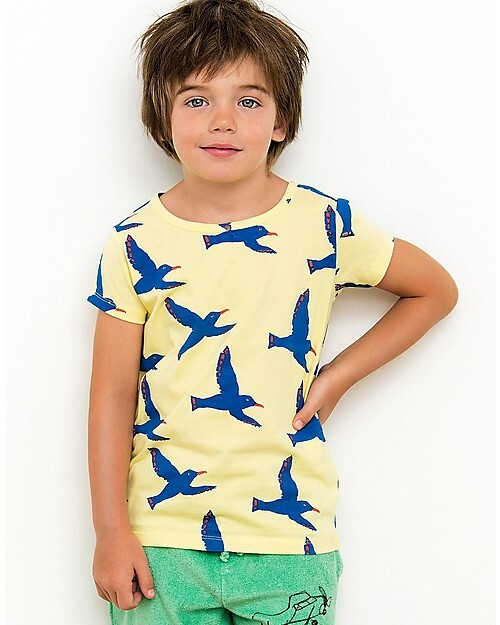 Nadadelazos is a fun, colourful Spanish brand based in Madrid that designs comfortable and authentic clothes for real kids. Featuring original designs with lovely prints so kids can life and grow in a universe of imagination, colours and adventure. Nadadelazos is dedicated to making our children’s world a better place, through small gestures like using organic materials, or supporting charity causes that benefit children, allowing them to dream and invent more freely.